Explore Perth's surroundings by going to Helicopter Tours (in Jandakot), Fremantle (Fremantle History Walking Tour, Western Australian Maritime Museum, & more) and Rockingham (Penguin Island, Rockingham Beach, & more). Dedicate the 4th (Tue) to wine at some of the top wineries in the area. On the 6th (Thu), give your taste buds a day to remember with a local gastronomic tour. 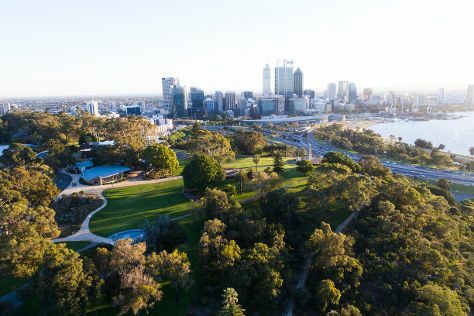 The adventure continues: walk around Kings Park & Botanic Garden, contemplate the long history of The Perth Mint, explore the activities along Swan River, and take in the views from Elizabeth Quay. If you are flying in from United Kingdom, the closest major airport is Perth International Airport. Expect a daytime high around 23°C in June, and nighttime lows around 9°C. Wrap up your sightseeing on the 30th (Sun) to allow time to travel back home.